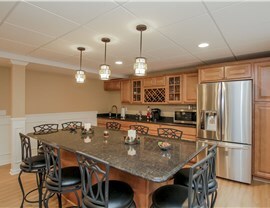 Spend more time with family and friends in a custom basement kitchen that's crafted just for you. 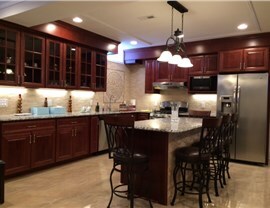 When you think of ideas to remodel your basement, a new kitchen isn’t likely to come to mind—but it can actually be a great addition to your home, especially if you entertain. 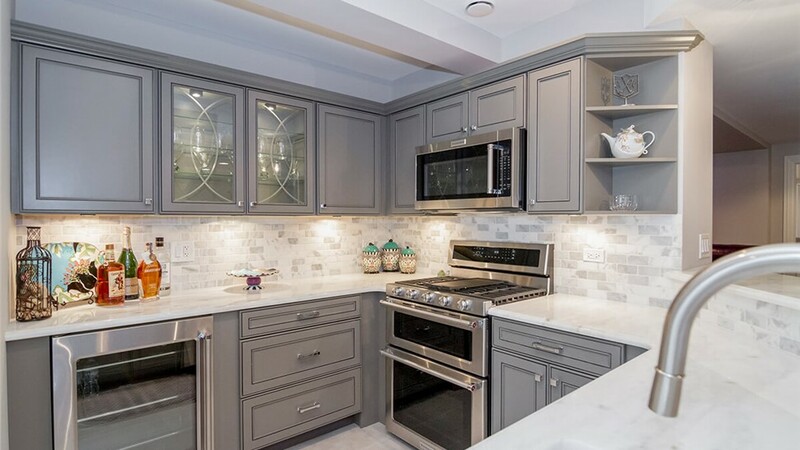 The trick lies in making sure that your Chicago basement kitchen doesn’t cause more problems than it solves. 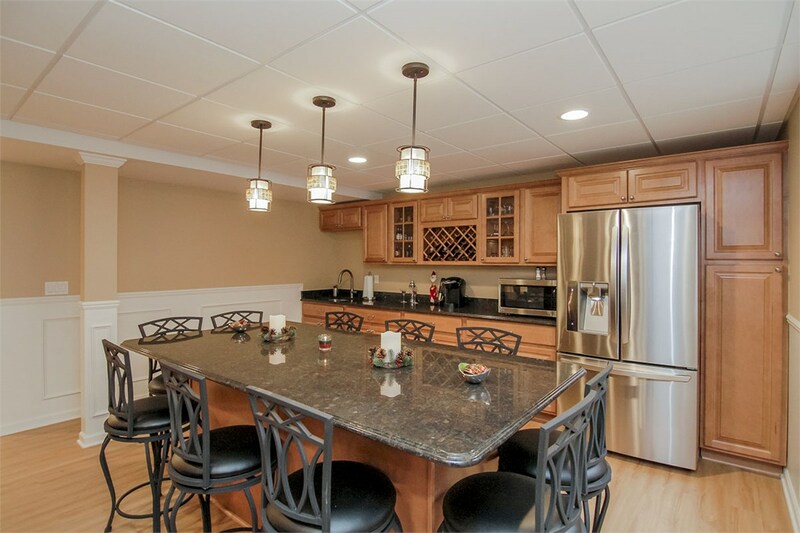 When it comes to basement kitchen remodeling, no one does it better than Matrix Basement Systems. That’s because we are the only ones in the Chicago area that offers products that are mold-resistant and thermally insulated, so you can enjoy your new basement kitchen for decades to come. 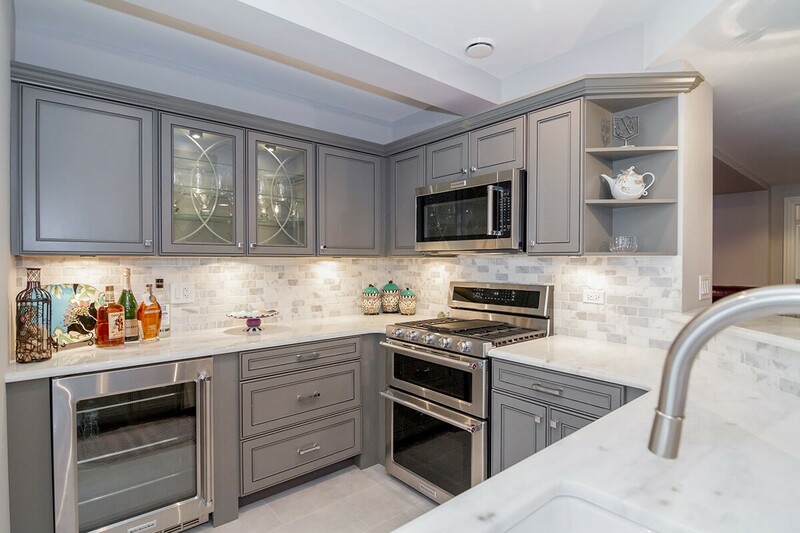 A kitchen space is only useful if it is functional, which means you should have the ability to customize your basement kitchen renovation. 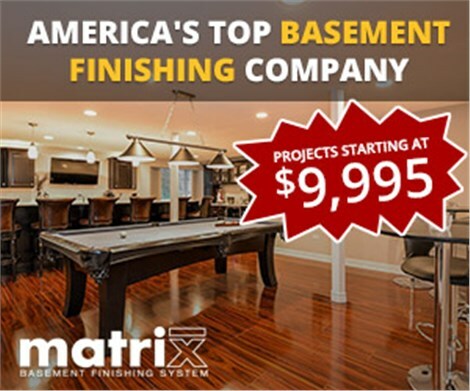 Here at Matrix Basement Systems, we have a wide range of basement finishing ideas that include endless décor options, so you can get the look and functionality that’s right for you. No matter what designs, appliances, and accessories you choose, you won’t have to worry about mold and mildew with our waterproof walls, floors, and ceilings! Our products are 500 percent stronger than drywall. Our walls are fire resistant and insect proof. We will meet any other written quote for comparable work. 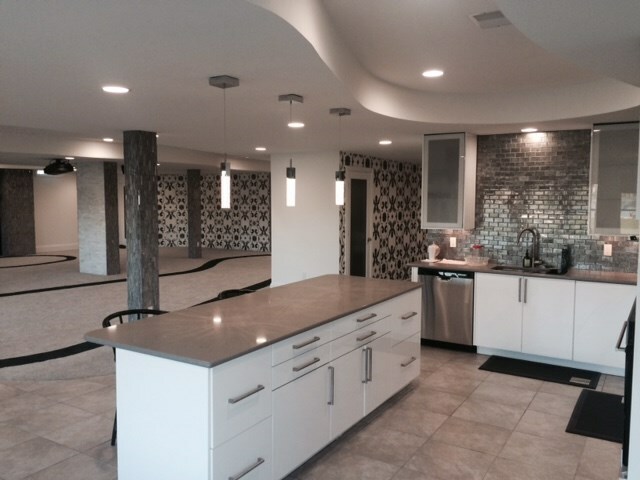 What is the Cost of Finishing a Basement? The potential cost of finishing a basement can lead many homeowners to forget about a remodel before it has even begun. Because we customize our services, basement finishing in Chicago has never been more affordable. Contact us today, and we’ll help you customize a basement kitchen that fits your family’s needs and your budget. Get started by giving us a quick call or filling out our convenient online form!